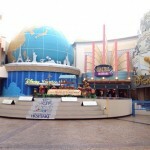 The most famous amusement park in Japan is… Disney!! 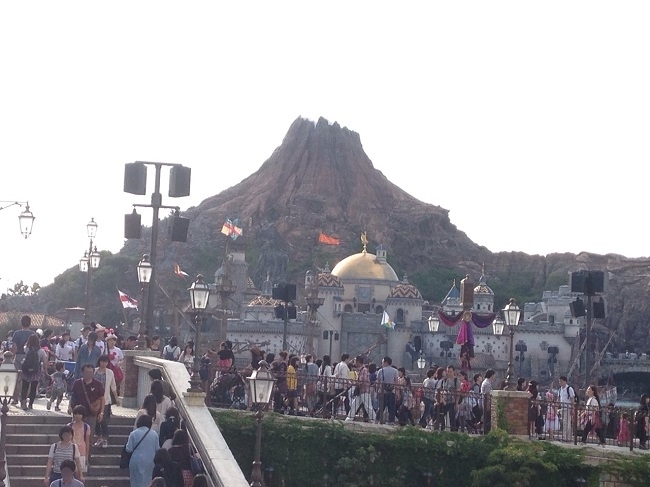 Both Disney Land and Disney Sea are wonderful in different ways. 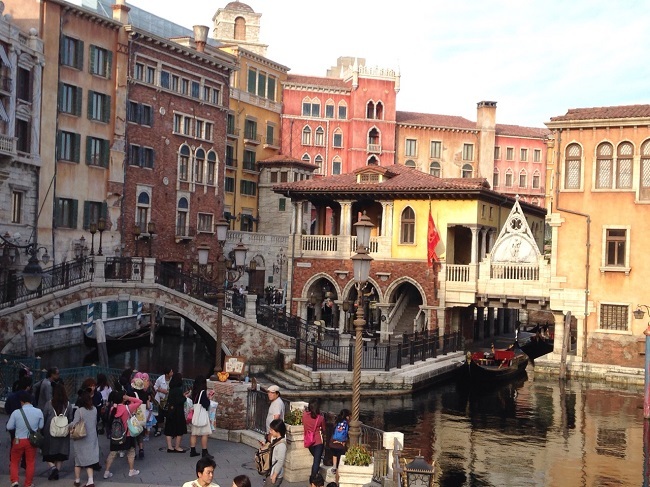 Today, I am going to show you around Disney Sea, the more chic and sophisticated one of the Disney theme parks. 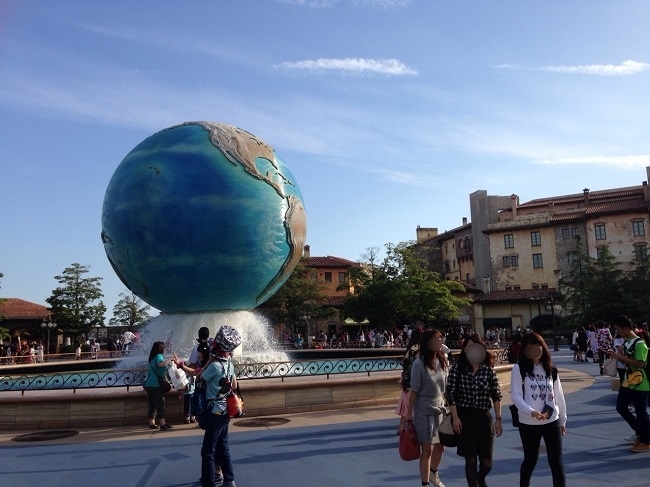 Both Disney Land and Disney Sea are wonderful in different ways. 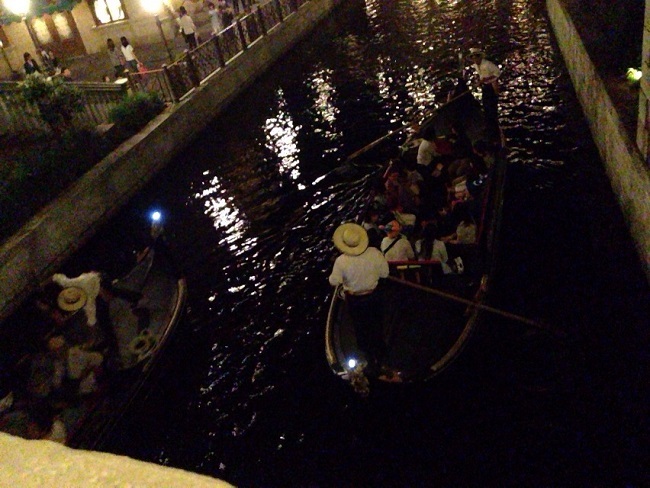 Today, I am going to show you around Disney Sea, the more chic and sophisticated one of the Disney theme parks. 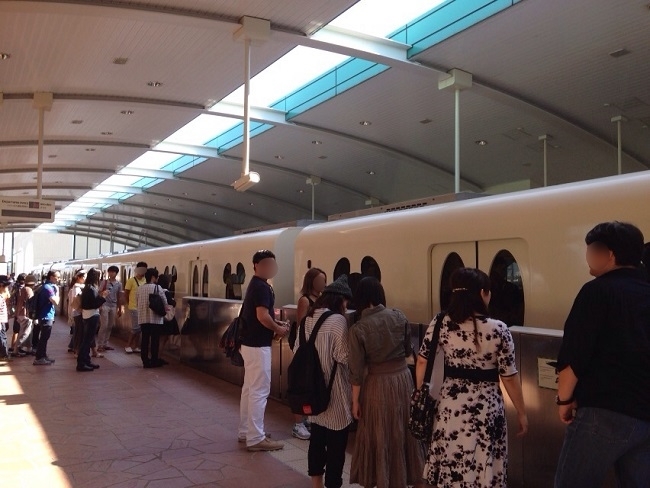 To get to the park, get off at Maihama station and take the Disney Resort Line Monorail to Disney Sea. 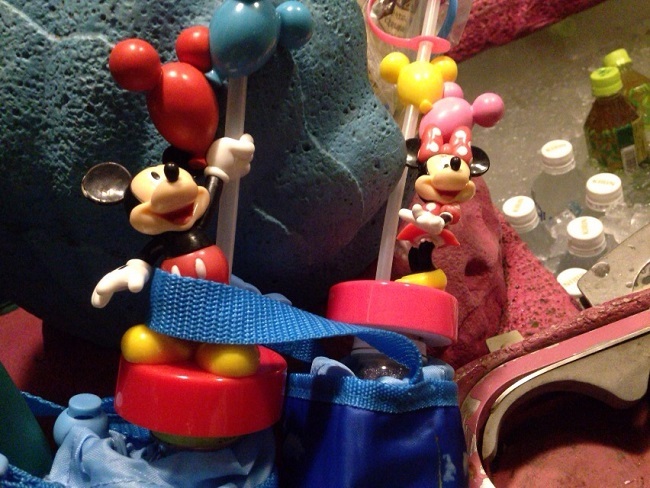 If you look carefully, you will notice the straps are Mickey Mouse designs! 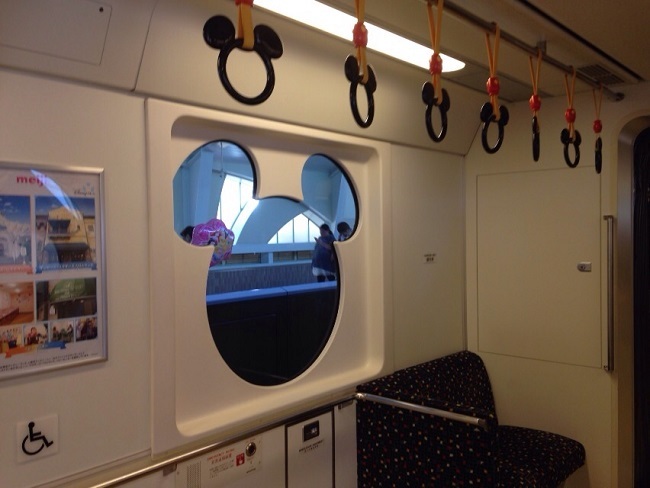 The music playing on the train is Disney songs too! I’m thoroughly enjoying the short ride on this adorable monorail. 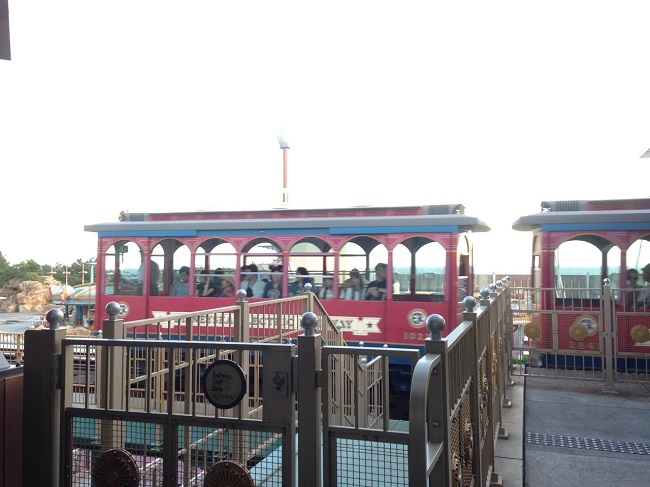 I get off at Disney Sea station and walk towards the ticket office. I can’t wait to enter the park! The anticipation builds as I wait in line to get tickets. I buy the tickets, get my purse checked, and finally make it in to the park!! 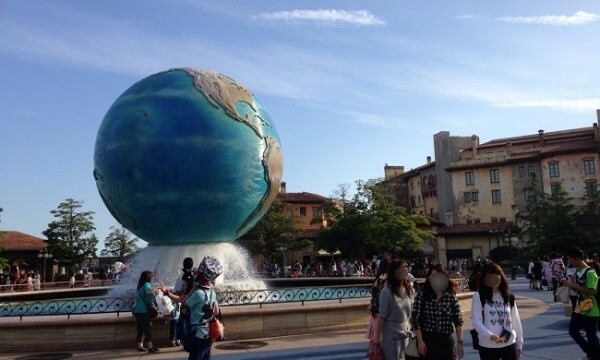 The first thing you notice is this fountain with the big globe! Make sure to take a picture here! As I continue my way in to the park, the beautiful scenery makes me feel like I’ve come to a foreign country. Do you see the volcano beyond the lake? 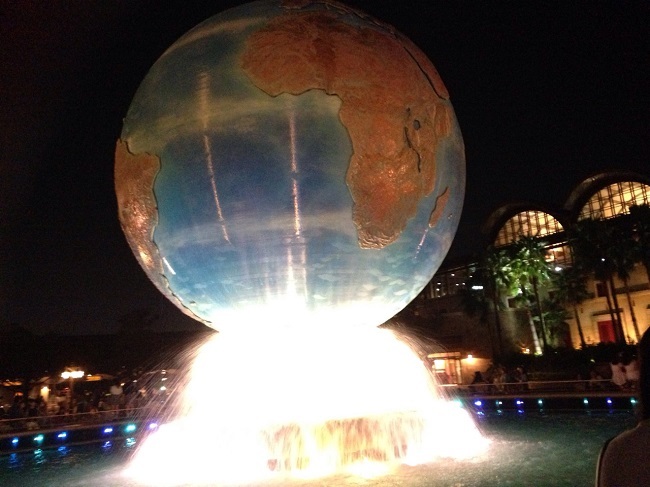 It’s “Center of the Earth”, Disney Sea’s most popular roller coaster!! Let me introduce you to a store you definitely don’t want to miss on your visit. 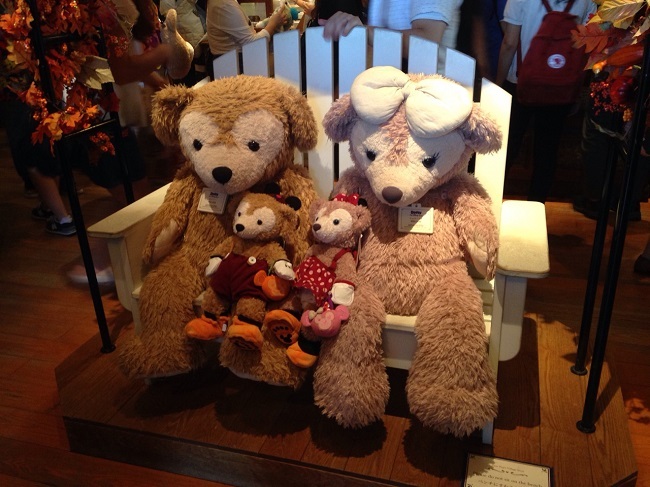 Duffy was a handmade gift from Minnie to Mickey, so he wouldn’t feel lonely on his sea voyage. 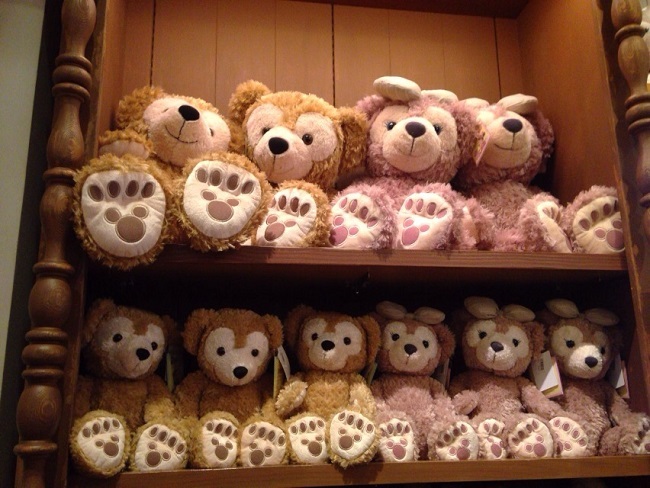 This little stuffed animal is now one of the most popular characters, making appearances in various shows in the park! 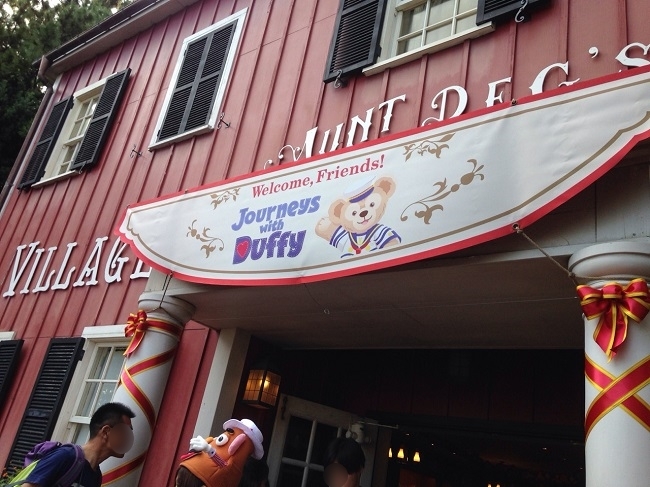 Duffy is so cute, I can’t handle it! 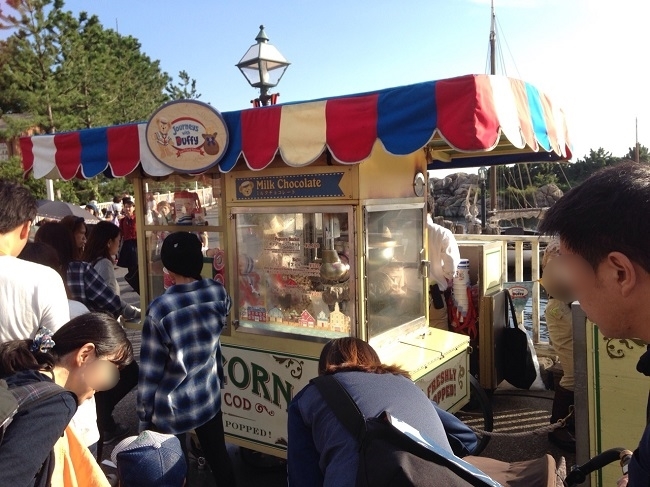 All around the park, you will find popcorn stands, selling different flavor popcorns. Other than the regular salt flavor, there is also strawberry, milk tea, black pepper and curry. Try out the fun flavors! If you’re hungry for a snack, stop by Mysterious Island! I recommend you go to Nautilus Galley, where you can get smoked turkey legs, dumplings and even alcoholic beverages at the stand. 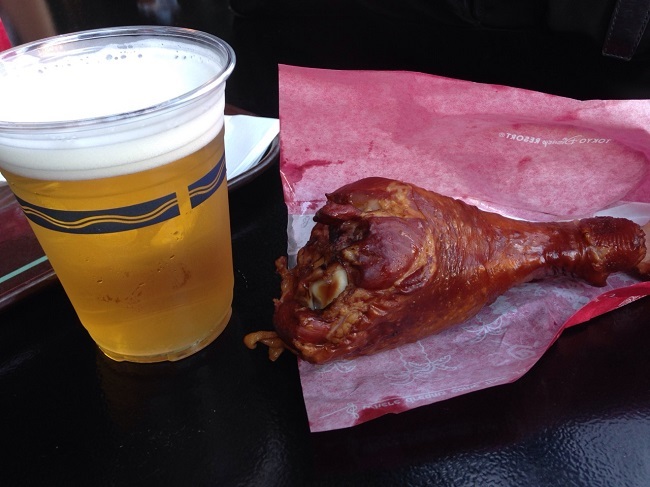 The smoked turkey leg is really tasty! 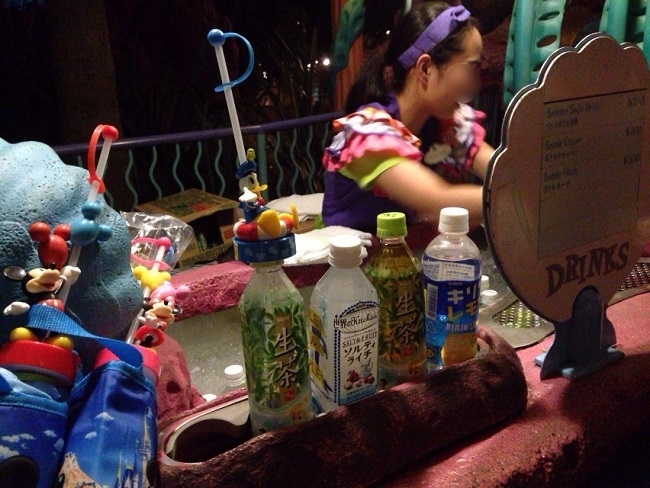 Unlike Disney Land, Disney Sea offers alcohol. 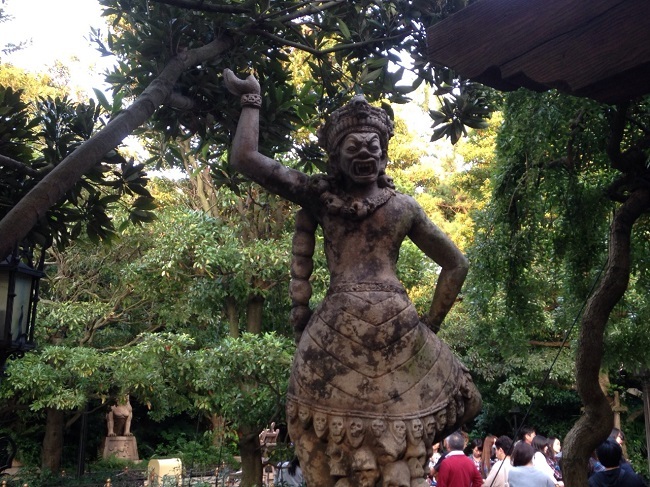 Enjoy maybe a couple of drinks, but don’t forget you are still in an amusement park! Tired of walking? 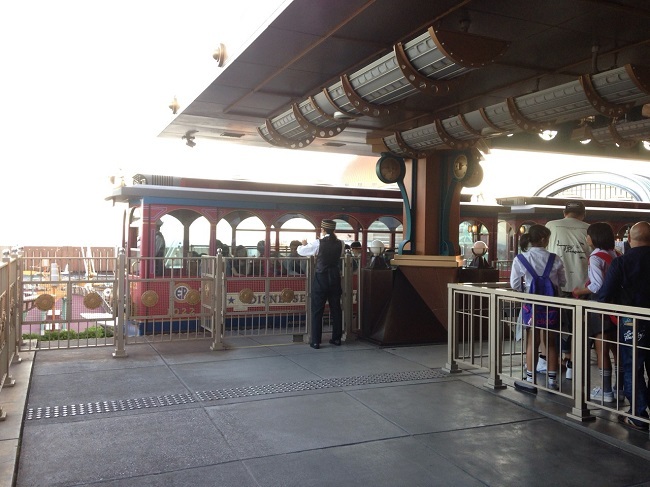 Hop on the charming little train that will take you through the park. 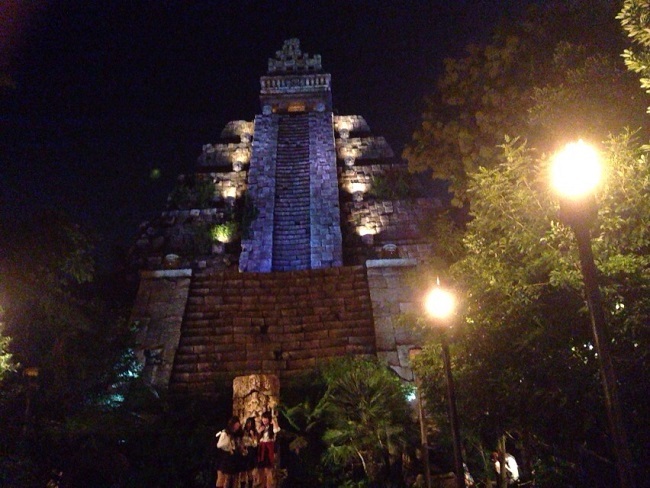 For those who want a bit of thrill, the Tower of Terror is an absolute must!! The ride falls from 40 meters up in the air!! 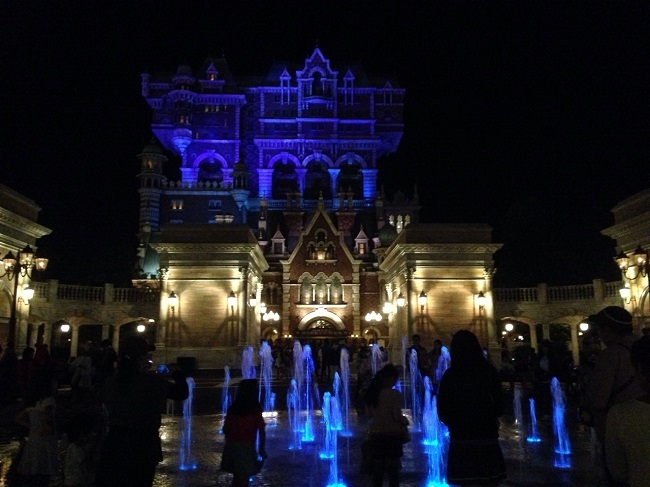 I suggest going at night, when Tower of Terror is spookiest. 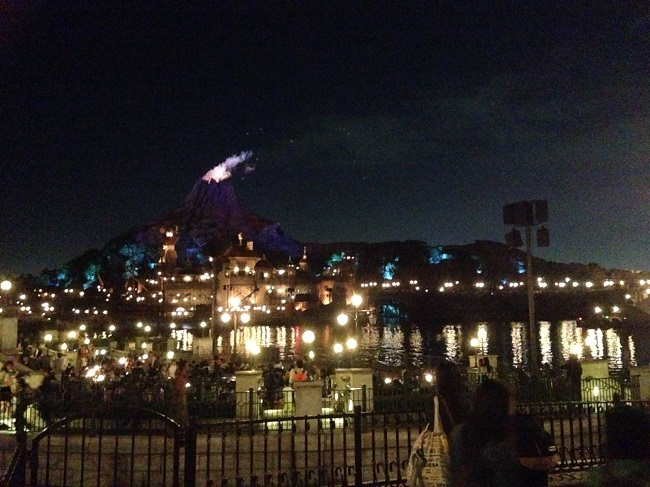 Disney Sea suddenly becomes more romantic with the lit up lights in the evening. 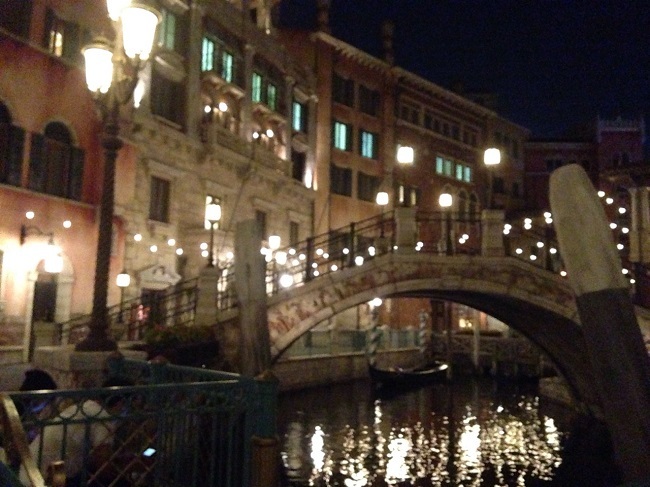 Here, you can go on the Italian gondola modeled after that of Venice. 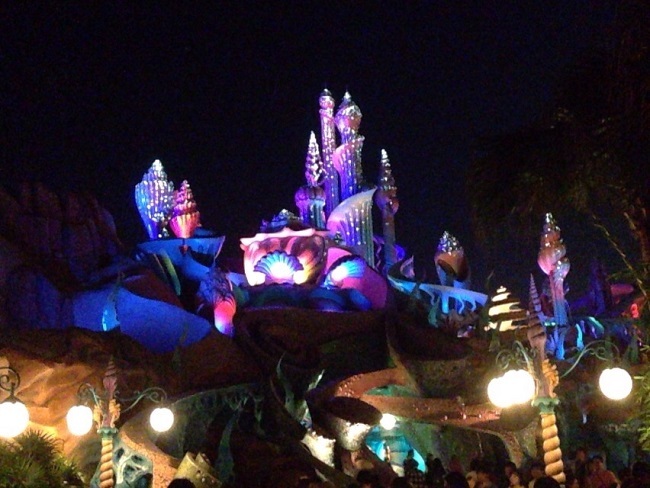 Mermaid Lagoon is the house of Ariel, the mermaid princess. This view is definitely worth taking a picture. 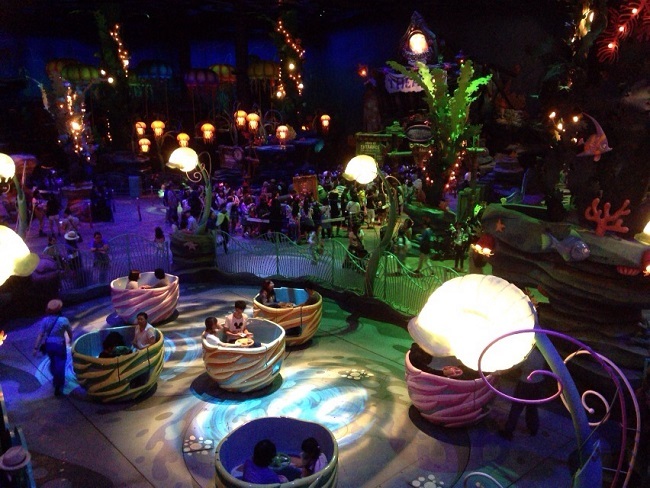 With lots of children-friendly rides, Mermaid Lagoon is a popular destination for family groups. 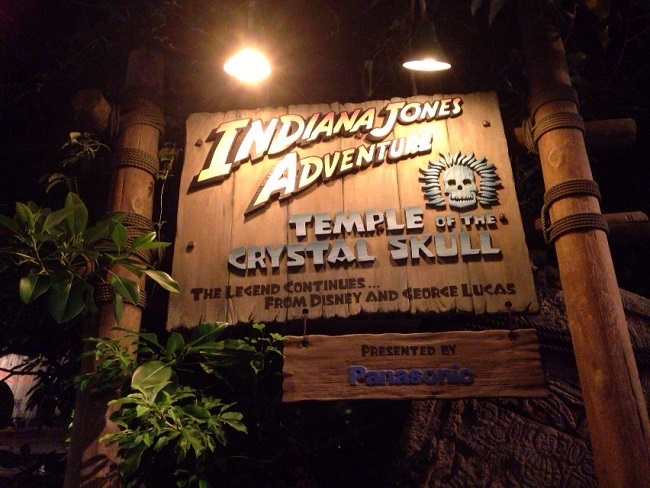 There is a ride themed after the movie Indiana Jones!! It’s probably my favorite of them all! The thrilling ride makes you feel like you jumped right in the movie! If you find one of these wagons, it’s probably smart to buy a bottle of water when you have the chance. It can get exhausting walking through the vast park! 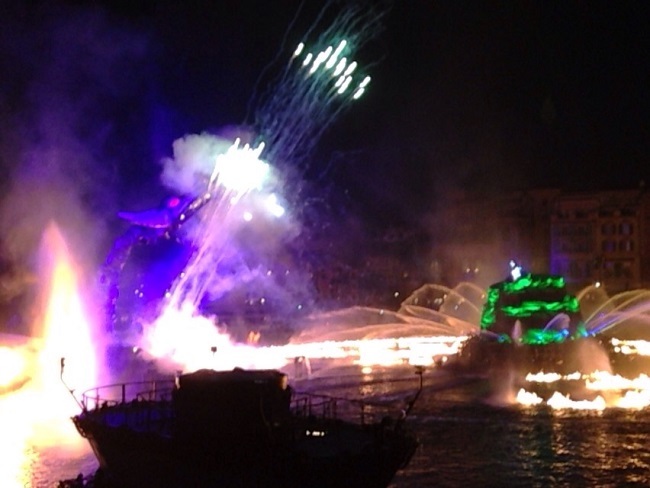 It’s a dynamic show, with a huge water screen, laser lights and fire among other special effects. 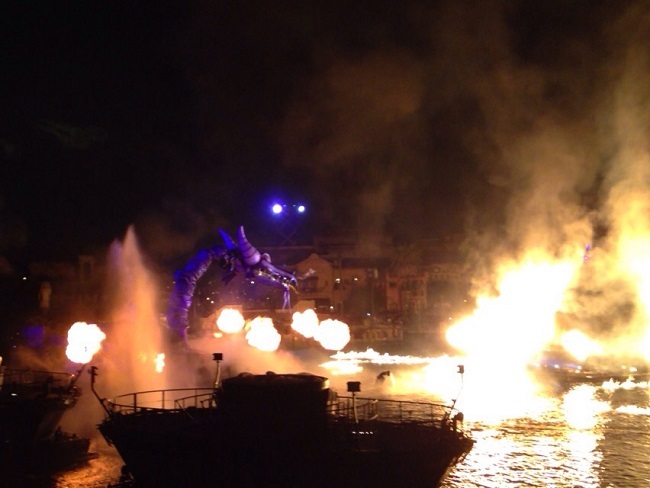 The powerful and magical show is perfect for a special night you want to remember! The one downside is that the show is very crowded. To increase the chances of getting a better view of it, join the lottery. 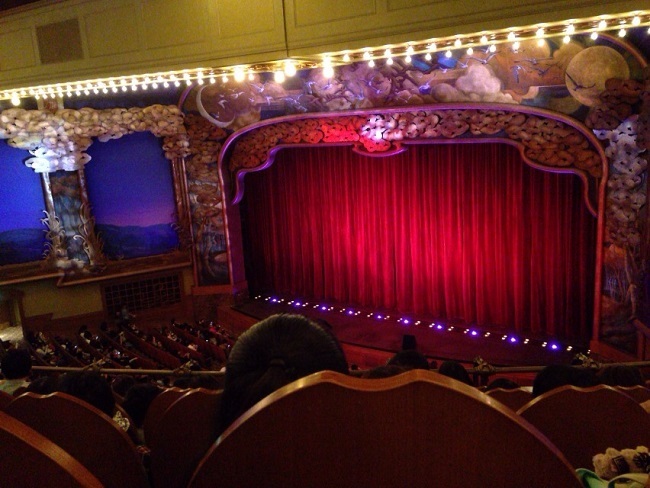 If you win, you will be able to enjoy the show from a special reserved seat. 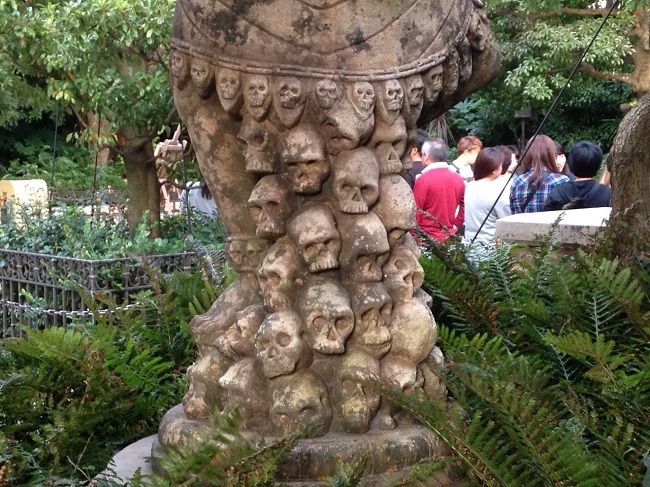 Also, there is a trick to get on the rides without waiting in line for so long. 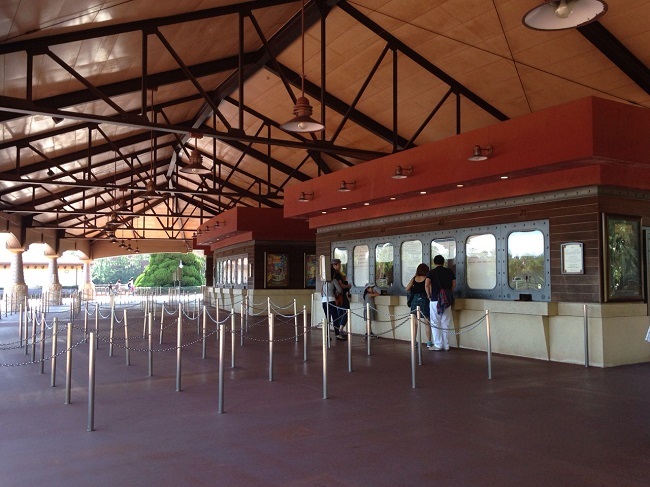 You want to get fast passes at the booths located at various places in the park. Make sure to check the pamphlet or ask the crew for more information! 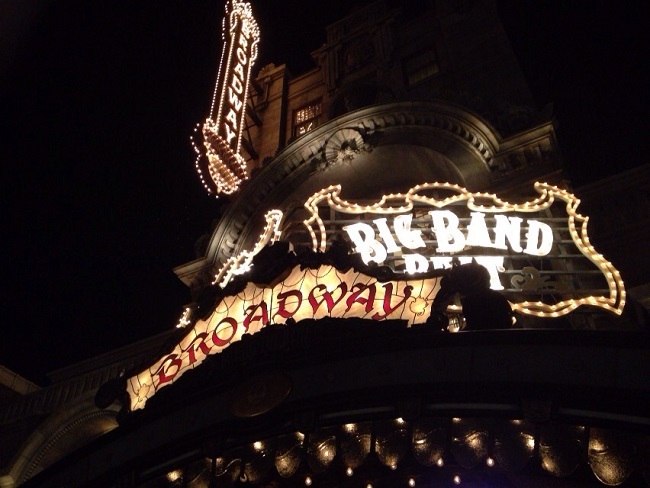 Another very good show at Disney Sea is… Big Band Beat!!! You can enjoy a spectacular live performance of the Disney jazz band. It reminds me of a Broadway musical! Of course, the adorable Disney characters appear in the show too! 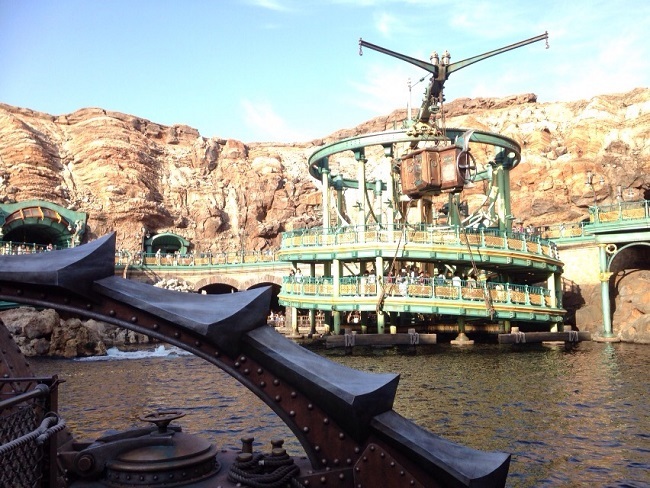 Other than the ones I mentioned in this article, Disney Sea has many more fun and exciting rides. 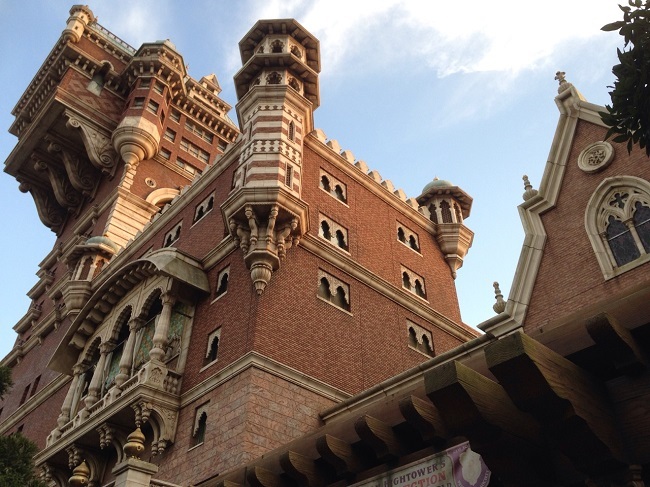 Make your dreams come true at Tokyo Disney Sea!